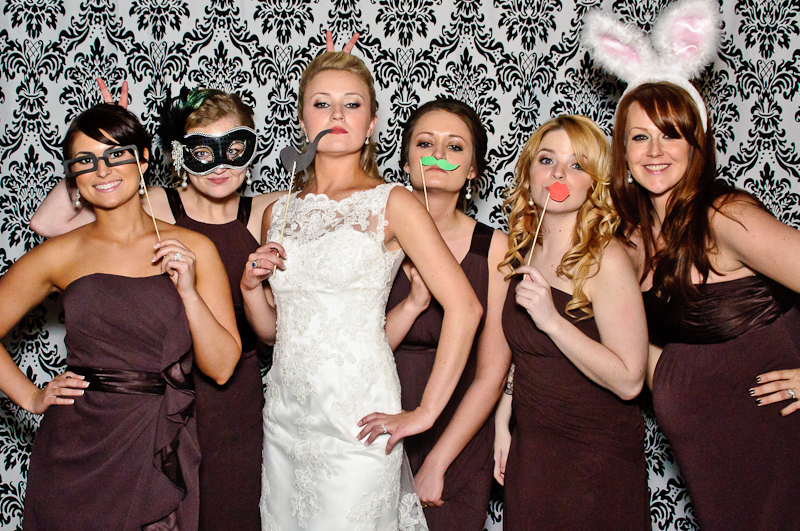 Our modern take on the classic photo booth allows for some pretty creative photos! Our open-air photobooths are perfect for weddings, corporate events, birthday parties, bar mitzvahs and holiday parties! Photobooth images are uploaded to an online gallery for you and your guests to download, share and order prints the day after your wedding. We can also print high quality images on-site that can be used as a guestbook or as creative favors for your guests! We have many different backdrops to choose from and can also create custom backdrops based on your colors or theme! Our prints are completely custom and can look like photobooth strips of old or high-quality full 4×6 or 5×7 prints that are suitable for framing or placing on the refrigerator. – The photobooth was the absolute best. – Seriously love these photos SOOO much! In addition to the “standard” photobooth we have created elaborate sets with our photobooths, video timelapses and even 3D Photobooths! Send us an email at [email protected] or give us a call at 615-669-6555 to check availability and receive a pricing quote for your custom photobooth for your Nashville, TN wedding or event.